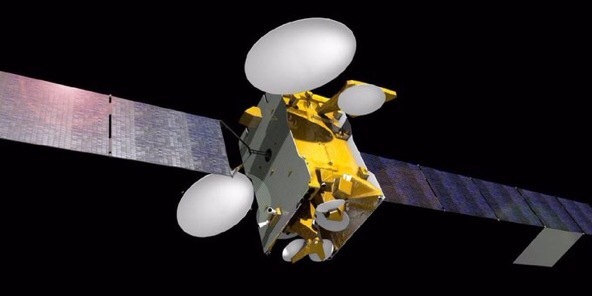 An illustration of the SES-10 telecommunications satellite. Three Russian satellites that were sent into low orbit in 2013 are on the move again, and no one knows what they are for, The Daily Beast reports. Having been idle for more than a year, one of the satellites went hundreds of meters off its orbit last month to within 1,200 meters of a piece of a Chinese weather satellite that China smashed in a 2007 anti-satellite rocket test. The maneuver, which is pretty impressive for such a small spacecraft, is also rather close by orbital standards. No one quite knows what the satellites are for, but some experts say they could be “technology-demonstrators” or even “precursors to orbital weapons,” according to The Daily Beast. Code named Kosmos-2491, Kosmos-2499 and Kosmos-2504, the three satellites maneuvered several times in the last three years to within a few dozen feet of their old booster shells. This means that they could be inspection satellites that can scan and match the orbit of other spacecraft, possibly even interact with it physically for repairs, modifications or to dismantle it. In 2012, US intelligence completed a report analyzing “the growing vulnerability of US satellites that provide secure military communications, warn about enemy missile launches, and provide precise targeting coordinates,” anonymous sources told Reuters. The report raised many concerns about China’s ability to disrupt satellites in higher orbits, possibly putting sensitive U.S. spacecraft at risk, the sources told Reuters. But Russian space agency chief Oleg Ostapenko claimed in 2014 that the satellites were for peaceful purposes.